Hello Rubbernecker Sisters!! HOP day has arrived!! 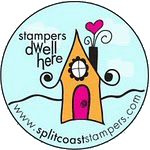 The Stampin’ Sisterhood has LOTS to share today!! Thank you for joining us! We all thought it would be a great idea to share some of our holiday images. So, sit back and enjoy. 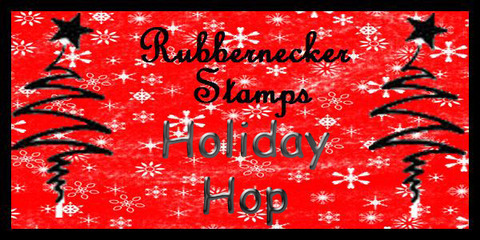 If you leave some LOVE at EVERY stop along the way, you will be entered into a random drawing for your choice of one Rubbernecker Stamps stamp SET!! Yes, you read that right: a SET, not a single image!! Now, how AWESOME is that?! Mr. Rubbernecker wants YOU to be able to choose, so you will LOVE what you get!! I chose to use this framed holly image for my holiday design. I first watercolored the holly with Garden Green and then went over that with Oregano Twinkling H20. I colored the berries with Red Jasper Twinkling H20 and then went over those with deep red stickles for some sparkle. I used Garden Green to sponge the outer edges of my frame. I really try to keep my holiday cards to a minimum in terms of layering and bulky embellishments to help keep down the mailing costs. OK, we know that you are busy, so you will have until THURSDAY 11/17 to HOP! 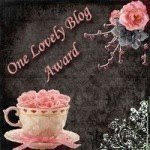 Our WINNER will be announced on the RUBBERNECKER BLOG, on FRIDAY 11/18!! Good luck! But wait, I have some other exciting news to share, too!! Beginning Sunday, November 20, we will be having weekly Rubbernecker challenges called SISTERHOOD SUNDAYS! We hope you'll join us as we are going to have a blast! Who knows? You could win a prize on SUNDAYS too!!! 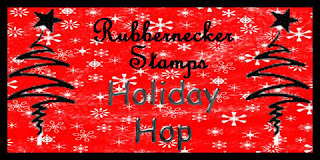 Here's the blog list of all the Rubbernecker Stampin' Sisters for ease of your hopping! I love the traditional red and green on your card. The added 'berries' at the top was a cute addition. So lovely! Great in the traditional colors. So clean and crisp! Very pretty card, this is wonderful, I love Christmas cards! I love this card! I like the red and green and the rickrack. Very pretty and I betcha it's nice and shimmery too! Love the border in that white layer! Beautiful, Charlene! Love the image! Wonderful coloring and design! 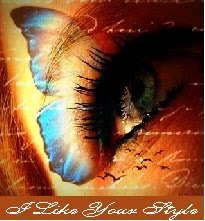 Very pretty card, love the colors, thank you so much for sharing it. Another winner Charlene! Love the embossed layer and your greeen sponging!\have a fabulous day! Your holly looks so pretty framed with the dotted white and the text green Charlene! This really turned out beautiful, Charlene...I love the look of the Twinkling H2O's on the holly image and the papers and embossing make such a pretty background!!!! Charlene, the contrast with the red, white and greenis wonderful and I love your coloring on the image. Beautiful card! Love the glitter and the three brads on top. Wow! Love that contrast between your rich & wonderful holly & berries against that fabulous white! OMGosh! You're reminding me to get out my red glitter! Love it! Love all the traditional red and green! Great card! Love those sparkly red berries! So pretty! The colors are just beautiful, and I like the use of white on this card. Very festive card! Perfect details in every way! Charlene, what a pretty and festive Christmas card...I love that holly image with the twinkling h20's!! Hugs, friend! Pretty card! I have that embossing folder and haven't used it yet... thanks for the idea! Love the holly image! This is just gorgeous, Charlene! My kind of holiday card!! Love the vibrant colors~! a fabulous creation! love the texture on it and the classical colours! Simple striking design. I love the ric rac. I love your coloring!! Beautifully done, Charlene!!! I like the dry embossing. That holly is so pretty, Charlene! I love the embossing and that pretty paper, too! Wow, this is gorgeous, Charlene. What a striking card! Your use of Twinkling H2o. ' is such a good idea to add some pizzaz! Thanks for the inspiration. You've made these traditional colors pop, Charlene. Awesome card! What a pretty, festive card! Your card is so striking! Very festive! I like this card. And I really appreciate the mention about mailing costs. I often get so caught up in pretty cards I don't think of that factor until after I make the first few. Your card is striking! Love the deep red and green against the white. Very festive traditional Christmas colors on your card. Love it! 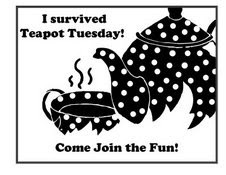 Love th trational colors and the white on top just makes evrything pop..love the design and could use this with almost any stamp..love that image and your coloring..tfs! Very pretty card. I love that image you used and how you colored it. I never think to use ric-rac on my cards, thanks for the idea! Great contrast with the stark white and rich greens and reds. What a lovely card, with traditional Christmas colors, sweet textures, clean lines, and gorgeous coloring! Definitely feels like Christmas. Thank you for sharing! Holly leaves and berries are one of my favorites to choose for a card...love what you did. I really like the way you added Stickles to the berries. Methinks it's time I started thinking about adding a couple of colours to my collection!! We always holly and berries from the garden to decorate the house, so this brings back a lot of memories. I like the simplicity of the look and your coloring is great! Very pretty! Love that "framed" image. And the added sparkle to the berries is perfect. Love the green!! looking forward to the challenges! Very nice -- love the white and green with a punch of red. A festive Christmas card. Love the partial embossing. Very effective. Oooow! This puts me in the Christmas mood! I love the colors! This is inspiring. Thanks for sharing!!! Love the tradional feel of this card and it's CAS elegance! Very pretty. Like all the details. Absolutely Stunning Charlene.. I love anything Holly and berries.. your design is awesome with this gorgeous embossing design! love everything! Love the card. The white embossed background makes the card pop! I was hoping for inspiration to finish one of my Fall ATCs, you just gave me the idea, thank you! A very pretty card! Love the white with Swiss dot embossing and the colorful dp! Love the traditional colors on this card. Very pretty!